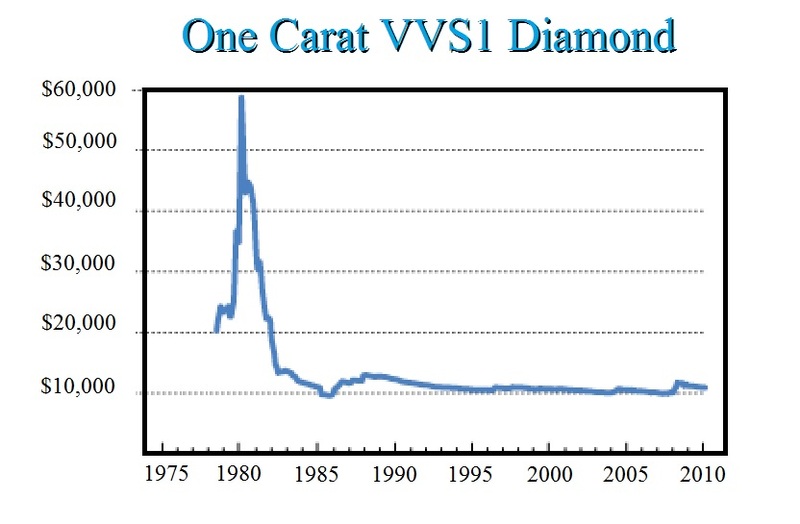 The diamond market has never been close to the insane levels reached during the investment boom, which peaked in 1980. Diamonds entered a 37-year bear market, which often follows such a major Phase Transition. This warns that we could still see the final major low unfold in 2016 on an annual closing basis, and 2017 perhaps even intraday. We did see diamonds reach a reaction high in 2011, yet that high should stand right now as prices move back to retest support. Keep in mind that this is correlating with gold to a large extent. Likewise, gold did not exceed the 1980 high of $2300 when adjusted for inflation.